CCC Beginning is something you should read. 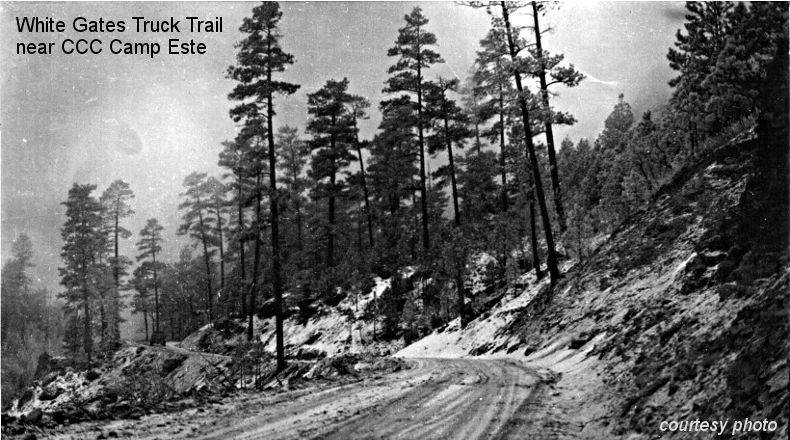 During his speech accepting the Democratic presidential nomination on July 2, 1932, Governor Roosevelt first hinted at the outlines of his national plans for conservation (CCC). He made only indirect reference to the idea in his inaugural address of March 4, 1933, but on march 9 he called a conference with the secretaries of Agriculture, Interior, and War, the director of the budget, the army's judge advocate general, and the solicitor for the Department of the Interior to discuss the program's outline (CCC). After considerable discussion and the addition of some amendments, Congress passed the bill. President Roosevelt signed it into law on March 31, 1933 (CCC). Robert Fechner was the man chosen to administer the CCC and before he had been in Washington 24 hours, he and the council were invited to the White House. The President wanted to know when the first CCC camp would be established. "A Month," responded Mr. Fechner. "Too long," said the President. "Two weeks?" "Good" (SS). The Civilian Conservation Corps by John A. Salmond, 1967. (CCC). The Black Hills Engineer. (BHE). 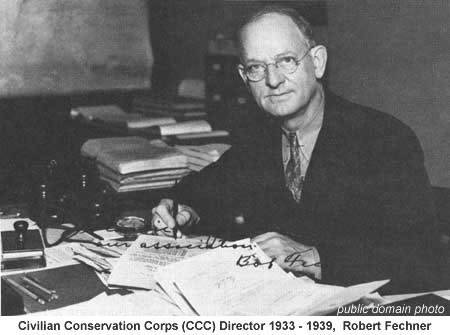 Roosevelt's comments about the CCC, brings in Fechner.